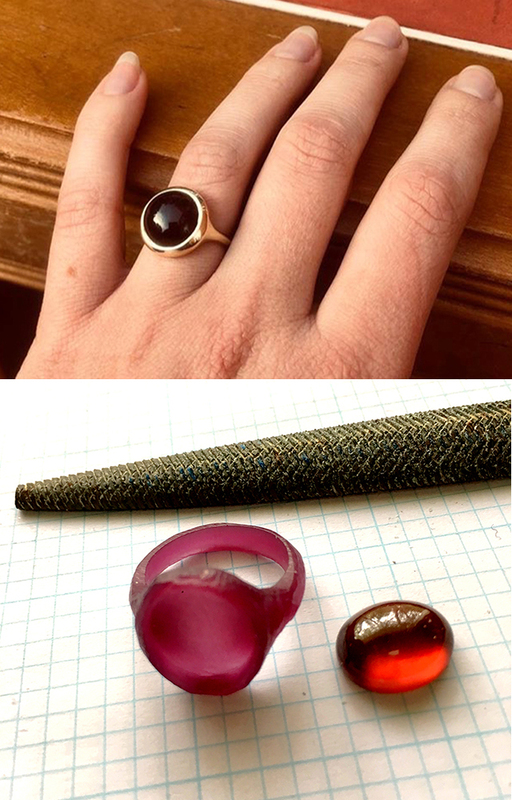 Saturday you will learn to carve a symmetrical tapered ring using hard carving wax. After it is cast you can add a bezel or prongs if you wish to include a stone. Sunday is also a symmetrical ring, but with a stone setting carved into the wax. Either ring is adaptable to your design. For Sunday bring a round or oval stone, either cab or faceted.